Mrs. Betty Jean (Ivey) Morrow was born on August 3, 1946 in Chicago, Illinois to the late Ruth Randolph and the late Harold Ivey. Betty passed away at the age of 72 on October 3, 2018 in Albuquerque, New Mexico. Betty graduated high school from Hyde Park Academy in Chicago Illinois. Betty married Wesley C. Morrow on August 4th, 1973 in Chicago, Illinois. Wesley and Betty shared their life for over 45 years throughout Chicago, Providence, and Albuquerque. She was preceded in death by her daughter, Antoinette Morrow Drake; stepson, Derrick Morrow; and sibling, Valerie Ivey. Betty is survived by her son, Wesley Morrow (Deena Morrow); stepson, Ulysses Morrow; stepdaughter, Tonia Morrow; brother, Harold Jr. Ivey, sisters, Rose McFall (Samuel McFall), and Deborah Johnson (Craig Johnson); daughter in law, Mechelle Morrow; grandchildren, Annecia Morrow, Anjelica Schexnayder (Jan Schexnayder), Addison Morrow, Jamie Hill, Adam Pabey (Ashley), Kendra Tapp, Desmond Morrow, and Lillianya Morrow; and great-grandchildren, Derrick Morrow Smith, Avianna Rose Smith, Rosalee Schexnayder, Rylee Schexnayder, Brittany Pabey, Trey Tapp; and great great-grandson Treylon Pabey. In addition Betty also touched the life of numerous nieces, nephews, cousins, aunts, uncles, extended family, and friends. She was a District Missionary and member of Marable Temple City of Refuge Church of God in Christ for 41 of years. During her service for the Lord Missionary Morrow participated as Director of the Local Choir, member of the State Choir, Vice President – Prayer & Bible Band, Sunday School Teacher, YWCC President, Missionary/Dist. 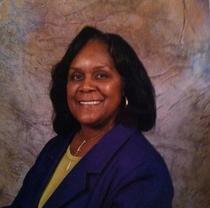 Missionary, Vacation Bible School Helper, Member of the Advisory Board of KY 1st District under Romanetha Stallworth. A handful of places throughout the Providence community were also blessed enough to have been graced with Betty’s energy and light including; Bell South, Health First, Banks, Providence School/Bus Driver, Hoover and City of Providence Dispatch just to name a few. There are some occurrences in life we will never understand. The community of Providence has lost a mighty one. Mrs. Betty Morrow was not afraid to shine her light. Her desire for truth exuded in all that she did, and her compassion for others flowed in the most meaningful of ways. She will be missed more than words can explain but her spirit is now free of the troubles of this dark world. “And Jesus said unto her, Verily I say unto thee, today shalt thou be with me in paradise” Luke 23:43. Friends and family can pay their respects at the visitation on Saturday, October 13th from 5:00 p.m. to 8:00 p.m. at Marable Temple Church of God and Christ, 139 State Street, Providence, KY 42450. The funeral service, which will be officiated by Pastor Ira Hathaway, will be held on Sunday, October 14 from 12:00p.m. to 1:00 p.m. at Marable Temple City of Refuge Church of God and Christ, 139 State/Marable Ave., Providence, Kentucky, 42450. Interment-Cumberland Hill African American Cemetery The funeral home handling the service will be Jones and Kirby Funeral and Cremation Service, 301 N Broadway St., Providence, (270) 667-5655.